3M 2308 24 mm x 55 m Scotch Masking Tape is a rubber adhesive for instant adhesion that sticks easily and helps reduce labor. 3M ID 70006281433 3M 2308 2 in x 60 yd 5.3 mil Scotch Masking Tape has good holding power to help resist lifting or curling. 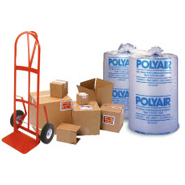 Crepe paper backing that is conformable to maintain integrity when formed around a corner. Ideal for easy tear, hand tearable, good paint hold-out that resists bleed-through and controlled unwind.